Alex took part in the 12th annual Society for Neuroscience Capitol Hill Day on March 8th as part of a group of scientists who met with senators and representatives to advocate for a more consistent and robust increase in funding for the NIH, NSF and the BRAIN Initiative. Her visit included meeting with 3 senators, including Kamala Harris, and 5 representatives, including Nancy Pelosi. 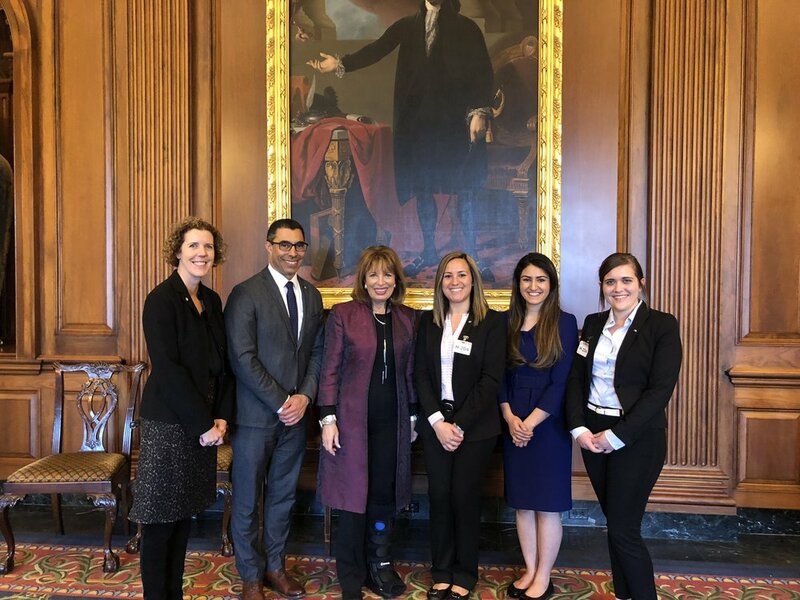 SfN California trainees with Jackie Speier, representative for California's 14th district. Alex is pictured third from the right.